will endeavor to help you. Leitrim is a county steeped in history. It has suffered massive population decline from the Great Famine of the 1840s until the 1990s. The county's population fell from about 160,000 in 1847 to 25,000 in 1996. Economic growth in Ireland in the last Decade has meant that the Census of 2002 showed an increase in Leitrim's population for the first time in over a century and a half. 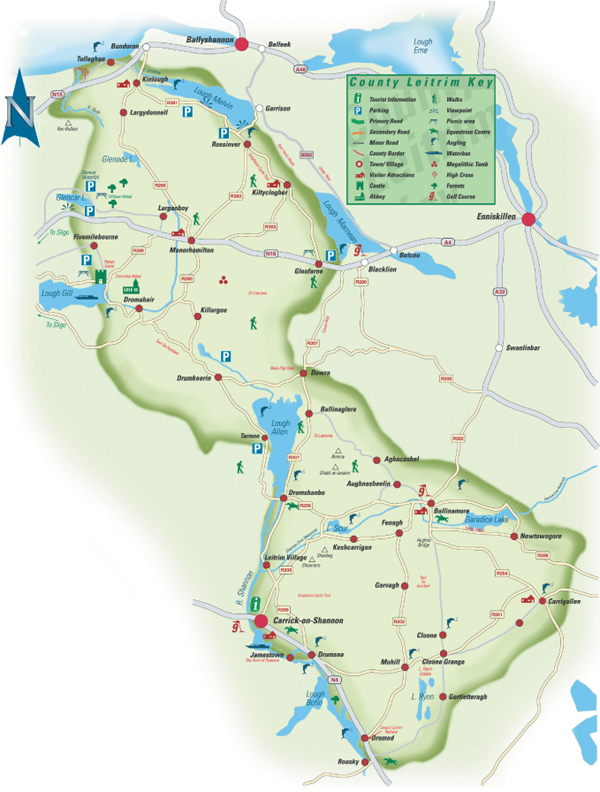 Not surprisingly Leitrim is the most unspoilt county in Ireland. It is full of lakes and mountains and rugged scenery. Places where your ancestors struggled to survive until they went to the "promised land" of America, England, Australia etc. They always harboured the dream of returning, but often they never saw their native home again. - via the Contact Us form on this website.